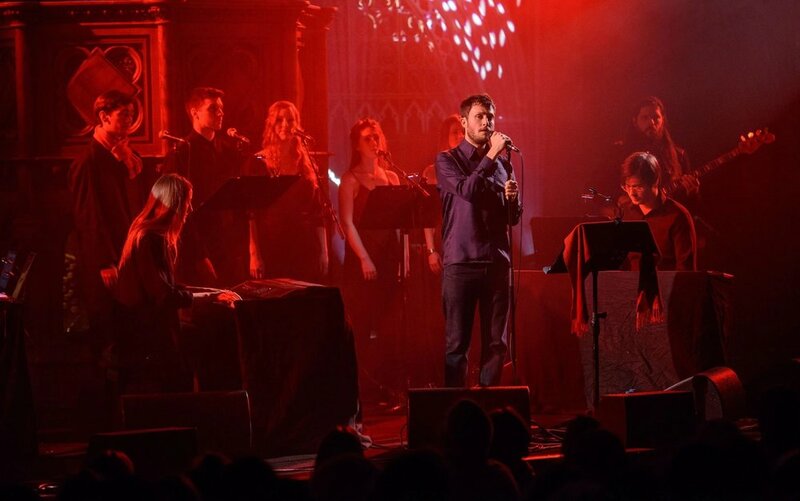 We were thrilled to work with The Maccabees’ lead singer Orlando Weeks on his latest project – a live performance of The Gritterman at the Union Chapel. The book is written and beautifully illustrated by Orlando and the audio version is accompanied by a set of stirring songs, with narration by comedian Paul Whitehouse (from The Fast Show/Harry Enfield). LCV singers joined Orlando for a special one-off show which sold out in a matter of hours and received complementary reviews in The Telegraph and also Drowned In Sound who said"There was a communal sincerity from everyone involved, all focused on the collective pursuit of delivering what was a stunning night of art”. We enjoyed working with Orlando so much that we’re already talking to him about plans for next year – watch this space!